Kelly Kovacic teaches AP U.S. History and U.S. Government at The Pruess School UCSD, a charter school serving 1st-generation college-bound students. Kelly was honored in 2010 as the California Teacher of the Year and one of four National Teacher of the Year finalists. Foster opportunities for collaborative learning, encouraging students to work together to construct and design non-linguistic representations that express what they know. Ask students to generate mental images, use graphic organizers (e.g. Venn diagrams, concept maps, time sequence webs), or draw pictures. Incorporate multiple opportunities for students to analyze photographs, political cartoons, or music from the time period and topic being studied. Model for students how visual imagery, auditory resources, or kinesthetic activities can express what one knows. Provide scaffolds for students as you incorporate graphic organizers, idea webs, political cartoons, and other non-linguistic resources and activities into your lesson plans. By introducing these types of learning experiences, students have multiple opportunities to use questioning techniques that help them refine and synthesize what they know. Analyze the ways in which controversy over the extension of slavery into Western territories contributed to the coming of the Civil War. I use non-linguistic representations in specific ways during this unit to help students construct an analytical understanding of the time period and prepare for this writing assessment. At the start of the unit, students are assigned a particular historical character (e.g., Harriet Tubman, William Lloyd Garrison, Steven Douglass, John C. Calhoun). As we read various primary and secondary sources, students record on a graphic organizer how their character would respond to the source and why. While we read a number of text-based sources, I purposefully incorporate various non-linguistic sources (e.g., political cartoons, photographs, and in later units musical recordings). 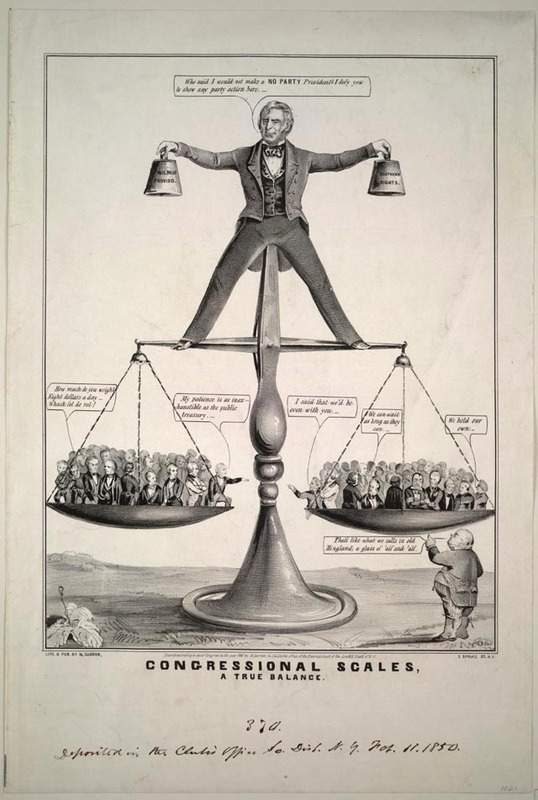 In this case, students worked with political cartoons, including this 1856 cartoon, this one, and this one. Should slavery have been allowed to extend into the West? Should the federal government or state governments have made this decision and why? Was the Dred Scott decision an accurate interpretation of the Constitution? As each question is asked, students move to different pre-assigned corners of the room depending on how their historical character would respond. In their initial groups, students explain why their character answered in this particular way and then share their character’s perspective with the entire class. I also provide time for structured debate between students. Being able to visualize the sectional divide and hear the various responses helps students process the strong regional tensions. Each student is then given a graphic organizer where we brainstorm events, people, and legislation that impacted the tensions over the westward expansion of slavery in the United States. 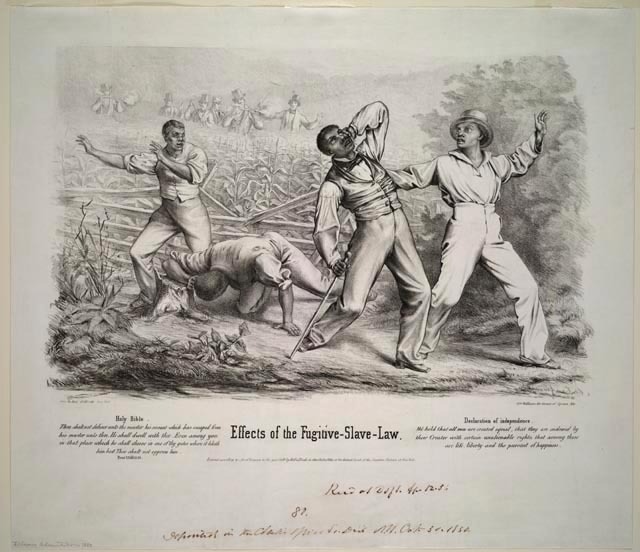 The last step is to have students design and draw a non-linguistic representation (a political cartoon or symbol) that illustrates the controversy over the extension of slavery and the particular events, people, and/or acts of legislation that heightened this tension. Accompanying this visual is a written explanation. See a sample of student work. After completing these activities over a few class periods, students begin the process of outlining and writing their essay response. Having the opportunity to utilize both linguistic and non-linguistic methods for representing knowledge and thinking about historical events often gives students, particularly our English Language Learners, a stronger ability to make connections between claims and evidence, recognize bias, and synthesize this understanding in a written format.